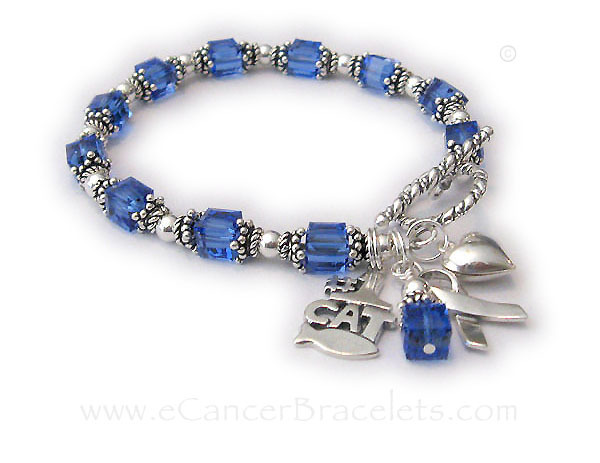 The bracelets, necklaces and earrings I designed and created are intended to provide inspiration, hope and strength to colon cancer patients, past and present, and to their family and friends. Feel free to contact us with any questions. 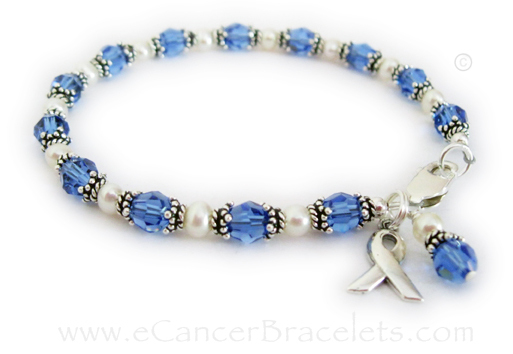 March is Colon Cancer Awareness month! Message Bracelet CBBR21 with Sterling Silver Alphabet Blocks and an optional Puffed Heart Charm. 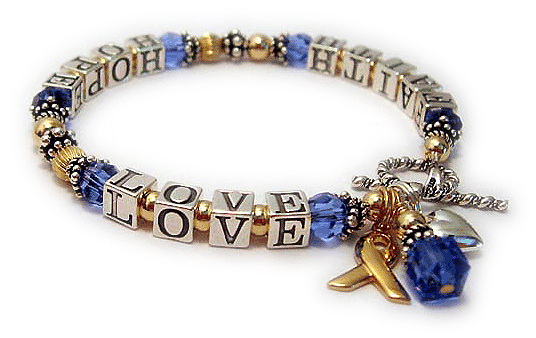 This FAITH HOPE LOVE bracelet is shown with 14k gold-filled beads and blue Swarovski crystals before and after the words. 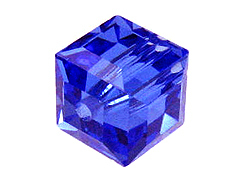 The sterling silver alphabet blocks are approximately 5.5mm. 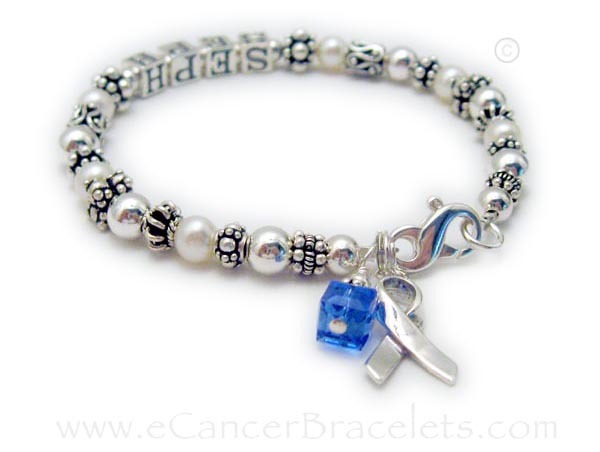 The gold-plated ribbon charm and crystal dangle are all included in the price. The heart charm is optional. 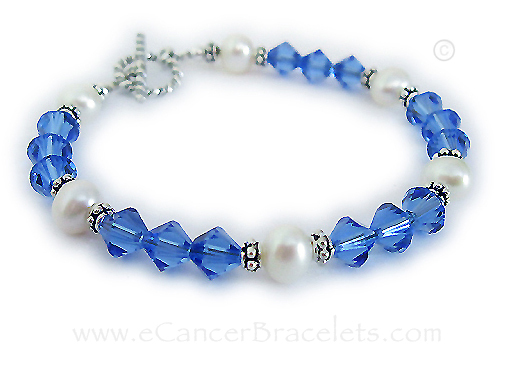 Multi Colored Awareness Bracelet - Colon cancer, Lymphoma and Organ Donor Crystals. ribbon and matching dangle. The Puffed Heart and #1 Cat charms are optional. 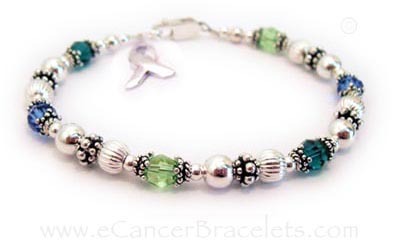 add-on IN MEMORY bead with Lobster Claw clasp closure. 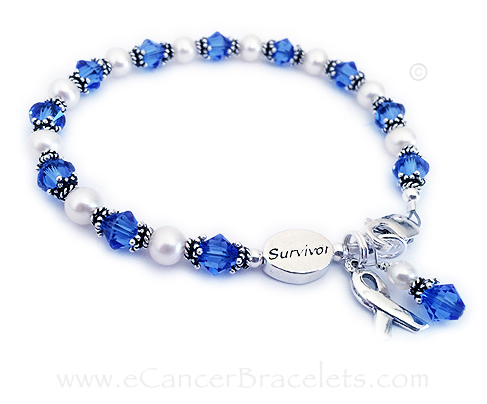 Here is a Colon Cancer Bracelet signifying a FIVE YEAR Survivor! 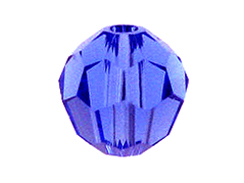 They added a Sterling Silver Heart Toggle Clasp. 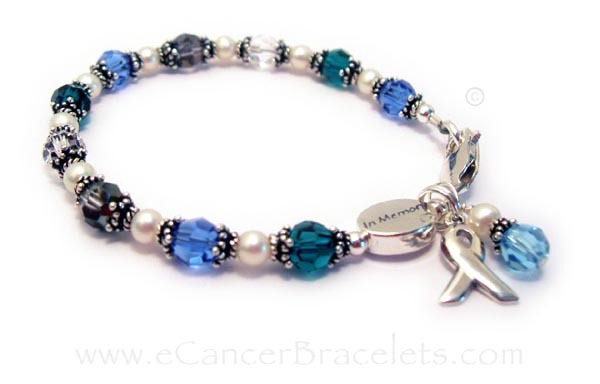 Shown with a name and September/Blue Swarovski crystal & Ribbon Charm & lobster claw clasp. 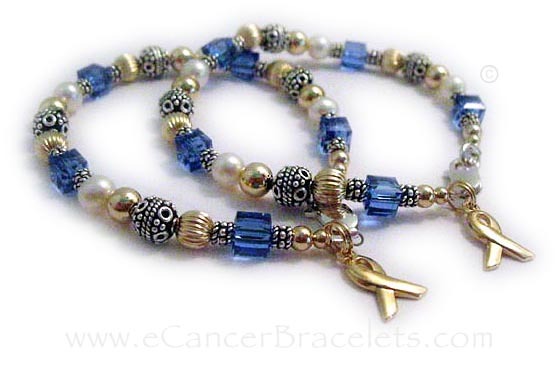 Gold and Pearl Colon Cancer Friendship Bracelets with a gold ribbon charms. 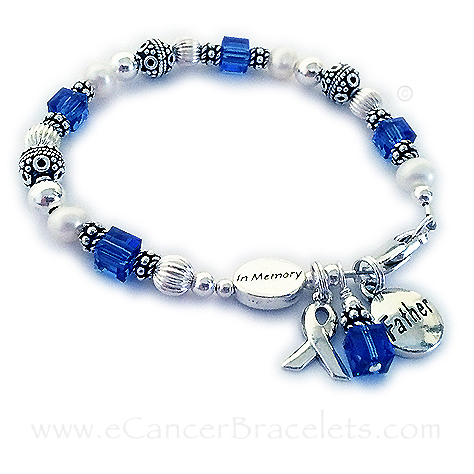 This bracelet is shown with Blue crystals which can signify Colon Cancer. Ribbon and Crystal dangle are included in the price.